Live theater in Virginia is among the nation’s best. Many of the most prolific actors, playwrights, directors, opera singers, and performers get their start in a Virginia theater before crossing over into the Washington D.C. mainstream. The theaters are historic and the talent, remarkable. Virginia has no shortage of incredible venues, but below you’ll find 10 of the very best. The Lincoln Theatre in Marion, Virginia, is on the National Historic Register as one of only three surviving Deco Mayan Revival architecture style theatres in America, drawing inspiration from Mayan sources. The theatre, originally constructed in 1928, operated until the 1970s before shuttering its doors. It reopened in 2004 and has operated year-round since. Performances range from live music to educational events, comedy, and more. Blackfriar’s Playhouse in Staunton, Virginia, houses the American Shakespeare Center, an “internationally recognized home for the study of Shakespeare’s works using their original staging conditions.” The theatre itself is in the round, with wooden seats as it was in Shakespeare’s day. Blackfriars is known for their Shakespeare recreations, but occasionally stages other productions, as well. The Altria Theater in Richmond, Virginia, also known as The Mosque and the Landmark Theatre, was built in 1940 and originally used by the local government. In 2013, the 3,565-seat theater underwent massive renovations. Today, the theater has a wide variety of acts, including music, comedy, and musicals, and plays, with an ever-changing calendar available online. The Crispus Attucks Cultural Center works to “build an energized community where lives are transformed” through enhancing the arts. 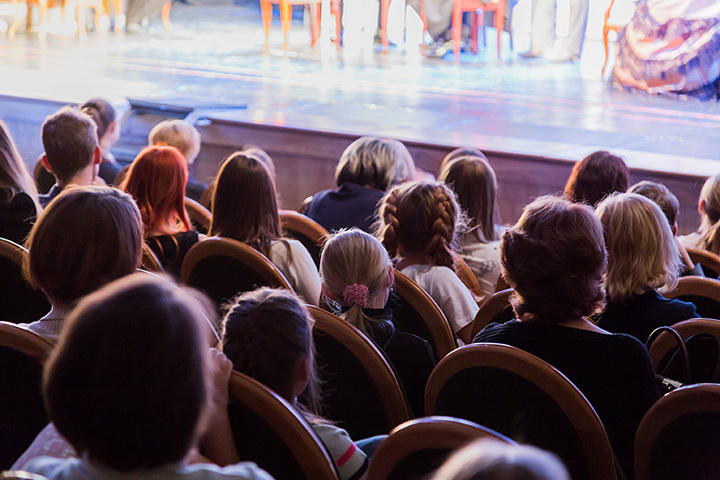 To those ends, the Attucks Theater in Norfolk, Virginia hosts a full season of multicultural performing arts, including theater, comedy, film, family, and literary programming. Community programs, including summer camps, help bring youth into the world of the arts. The Virginia Musical Theatre in Virginia Beach produces a wide-variety of musical entertainment. The Sandler Center for the Performing Arts is “the region’s newest performing arts facility.” Shows include classics, like “How to Succeed in Business Without Really Trying,” as well as shows from newer voices. Home to the Virginia Symphony Orchestra, the Virginia Ballet, Norfolk Forum, the Virginia Arts Festival, and traveling Broadway Plays, Chrysler Hall is Norfolk’s premier performance hall. Live concerts from disparate acts all over the musical spectrum also perform. Chrysler performances can be all about luxury, so make sure to dress nice and book your tickets in advance. The Yoder Barn Theatre in Newport News, Virginia, is an amateur theatre hosted in an original dairy farm building. Originally built in 1935, the family donated the property to Christopher Newport University to be used as a community theatre, and has hosted performances ever since. Come check out a night of theatre in an incredible, rustic setting. One cannot write about theatres in Virginia without mentioned Wolf Trap. The park is a 117-acre living monument to the performing arts, from the Filene Center to the Children’s Theatre in the Woods. Besides yearlong educational programming and the internationally recognized Wolf Trap Opera, the main stage attracts some of the biggest acts in the world. The Little Theatre of Alexandria, Virginia, is a large community theatre, originally founded in 1934. The theatre hosts a one-act playwriting competition that has helped to launch the successful careers of several prominent playwrights. The Little Theatre is a Northern Virginia favorite. The Barter Theatre took its name literally. Its founder wanted the patrons to pay with produce, and as such barter for their seats. It began during the Great Depression and quickly became a wonderful venue for those down on their luck to escape for an afternoon of entertainment. That tradition continues today, although it seems they’d prefer paper money to vegetables. The theatre itself is gorgeous inside and out, and the shows are top-notch. View more Virginia Theaters and Playhouses.